Visit the royal castle in Windsor, unearth Neolithic secrets at Stonehenge and explore the timeworn city of Oxford all in one day. With a professional guide, set off from central London by coach to visit three of England’s most famous sights outside of the capital. 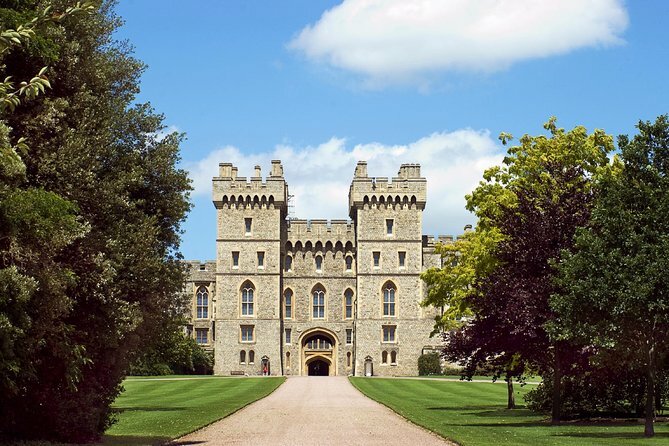 Make use of your included entrance tickets to enjoy audio tours of Windsor Castle and the UNESCO–listed Stonehenge. Then finish your day trip with a walking tour of Oxford’s honey-stoned university buildings. - St George's Chapel at Windsor Castle is closed on Sundays, Apr 17, 19, 20, May 2, June 14-15 / Queen Mary’s Dolls’ House is currently closed. Step back 5,000 years in time to prehistoric Britain as our guide helps bring the history of this fascinating monument to life. Who built Stonehenge? Why was it built? Discover the answer to these questions and the monument’s fascinating link to the Summer and Winter solstice. Come face-to-face with a 5,500-year-old man and visit the world-class exhibition centre, with 250 ancient objects on display. Step inside St George’s Chapel, where HRH Prince Harry married Ms Meghan Markle and the tombs of prominent previous monarchs are located, including Henry VIII and Charles I. Don’t miss a colourful display of typical British pageantry that takes place every morning at the Changing the Guard ceremony, where the handover of duties between guards to the Queen takes place. If Her Majesty is in Windsor during your visit, you may be lucky enough to see the Royal Standard flying on the flagpole of the Round Tower.